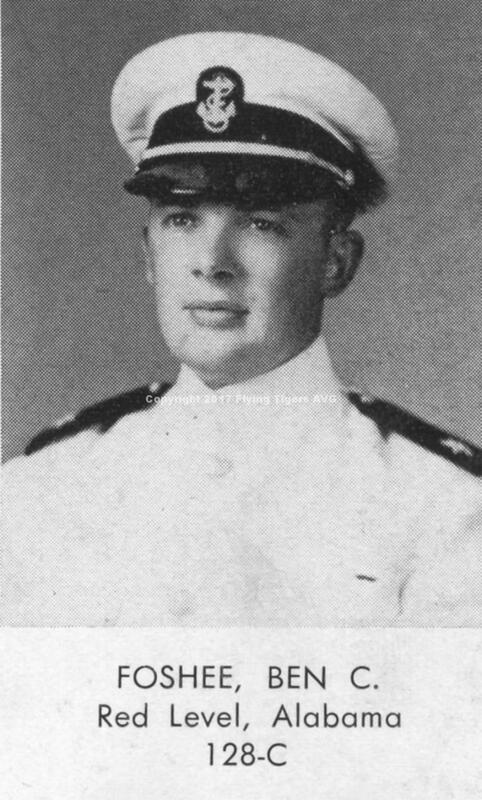 Pre AVG: Graduated from Alabama Polytechnic Institution (Auburn University) and was commissioned in the United States Navy in 1938. Earned his Naval Aviator wings in 1940. AVG Service: Traveled to the Far East aboard the Dutch ship Bloemfontein. After stopping in Singapore, he arrived in Rangoon, Burma aboard the Penang Trader on 15 September 1941. Was a Wing Man in the Third Squadron, Hell’s Angels and assigned to P-40 #97. During a surprise enemy strafing/bombing run (records estimate 50 bombers and 30 fighters) at Paoshan around noon on 4 May 1942, Ben suffered wounds and later died from an enemy fighter strafing the airfield while he was attempting to reach his aircraft. He was only two months to the day away from the disbandment of the AVG.